THERE ARE over 2,751 housing units in local authority ownership lying vacant, according to new statistics released under Freedom of Information legislation. The figures, released by local authorities to Fianna Fáil spokesman for housing, planning and government Barry Cowen, show that there were 372 vacant housing units in Dublin alone, as of April. In May, a report from the Housing Agency revealed that there are around 230,000 vacant houses around the country, most of them in private ownership. Homeless charities have called on the government to issue compulsory purchase orders on the properties to house the country’s 6,000 homeless people. Minister Simon Coveney is due to announce a housing action plan before the end of the month. Fianna Fáil have called for further local authority funding to refurbish units already owned by the state. “These figures make it apparent just how completely inadequate the refurbishment funding allocated to local authorities has been,” said Barry Cowen, party spokesman for housing, planning and government. “It’s unacceptable that there are still such a high number of vacant housing units owned by local authorities which are not in use. This is at a time when social housing waiting lists are at historic highs and emergency homeless shelters are running out of space to accommodate the escalating crisis. The information, released to Fianna Fáil, show that local authorities with a large number of vacant housing units, shows include Cork City (361), Cork County (256), Kerry (173), Donegal (149), Tipperary (121) and Longford (103). Fianna Fáil is seeking an increase in funding available to local authorities for refurbishment of properties. 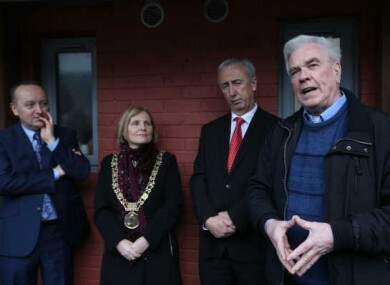 It’s utterly senseless to have so many properties lying vacant while spending such enormous funds fire-fighting the crisis through the provision of emergency homeless accommodation. Email “'Unacceptable' - Ireland's 2,751 vacant social housing units”. Feedback on “'Unacceptable' - Ireland's 2,751 vacant social housing units”.